Another firm round of gains across all markets kept things buoyant. 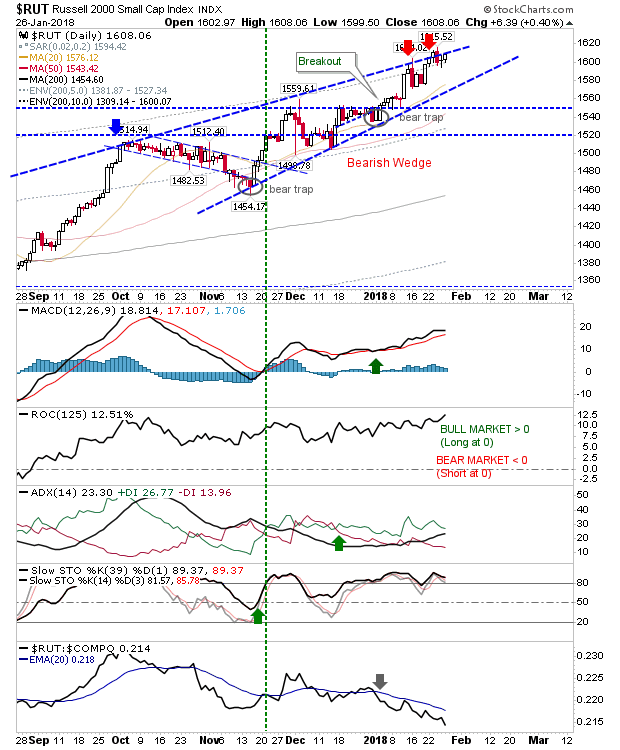 The Dow managed a fresh breakout from channel resistance on higher volume accumulation. 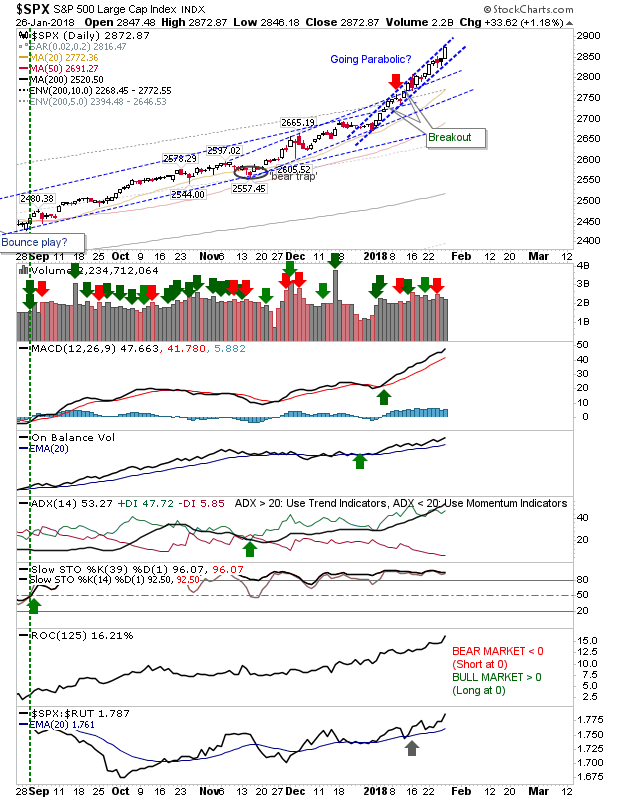 This has the look of yet another channel acceleration as the chance for a parabolic blowout increases. The Nasdaq finished at new highs but hasn't yet made it into the 10% zone of historic extreme Nasdaq action going back to 1971. Action in the Russell 2000 has made managing a short position at bearish wedge resistance difficult as whipsaw remains the risk. 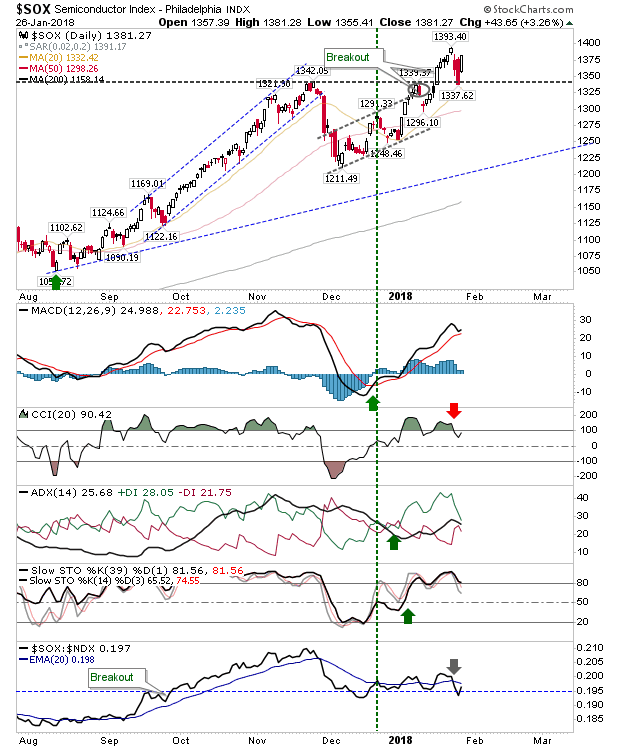 However, the relative performance of the index continues to deteriorate which means if selling picks up then the Russell 2000 is likely to be the index to lead markets downwards. 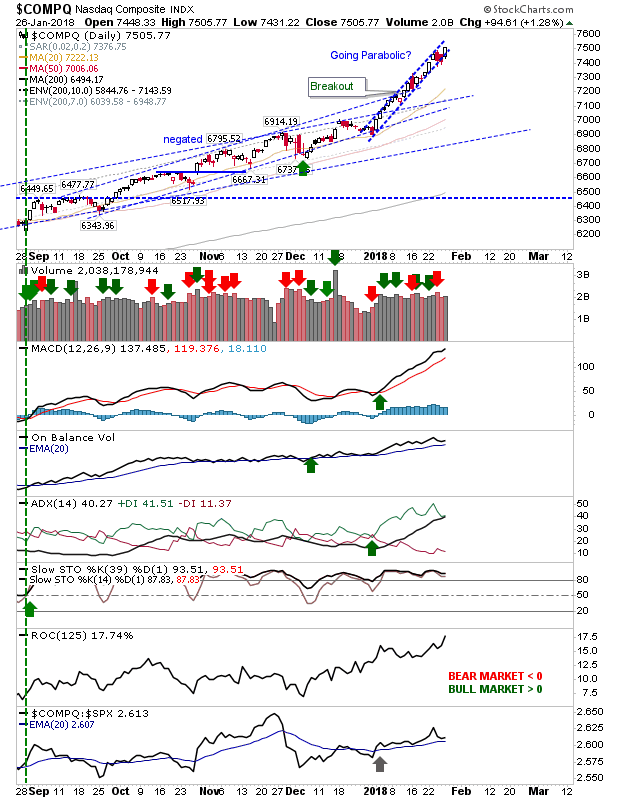 The Semiconductor Index experienced a heavier sell off last week but on Friday managed to make back most of this lost ground. The break of 1,342 is holding but if this can't breach 1,393 soon then look for weakness to spread to high flying Nasdaq and Nasdaq 100. 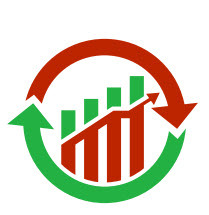 For Monday, watch the Semiconductor Index for leads. While the Russell 2000 is typically viewed as the leading market sentiment indicator (given its more speculative nature) the Semiconductor Index is experiencing an increased divergence to the Nasdaq/Nasdaq 100 - as shown by its weak relative performance to the latter index. 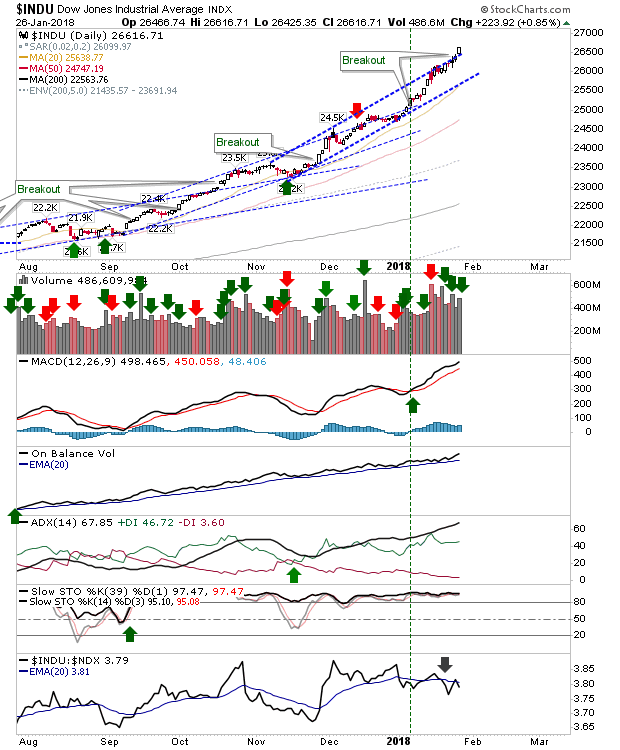 If Semiconductors struggle then the Nasdaq and Nasdaq 100 will be vulnerable to profit taking, leaving Large Caps as the last of the high flyers.